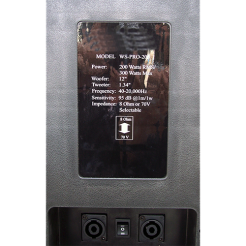 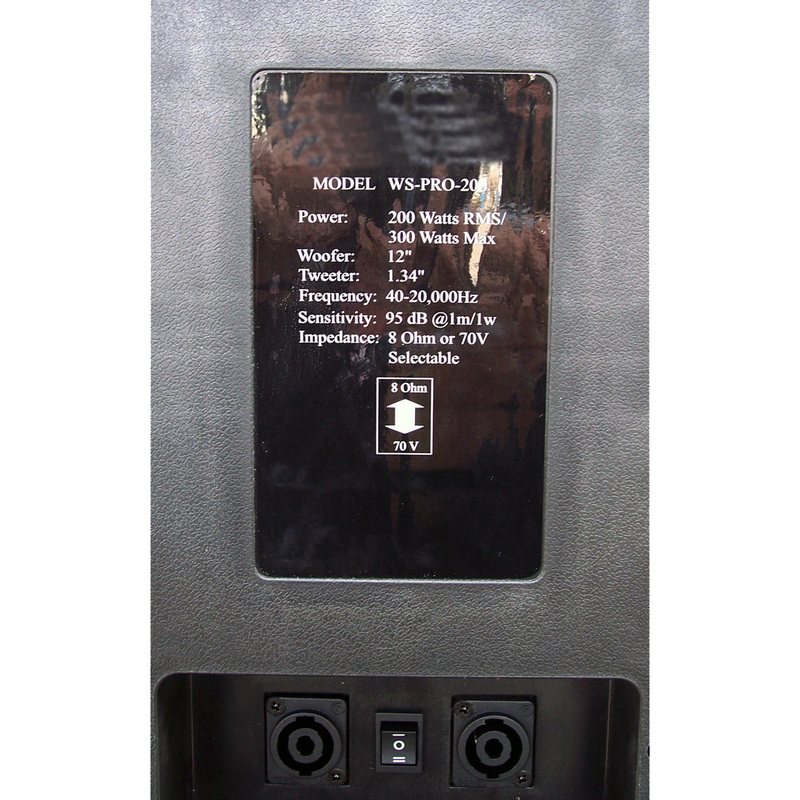 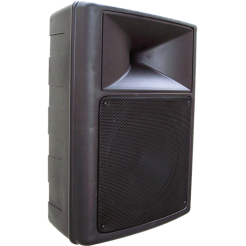 This is a very durable loud speaker cabinet built for outdoor or indoor use. 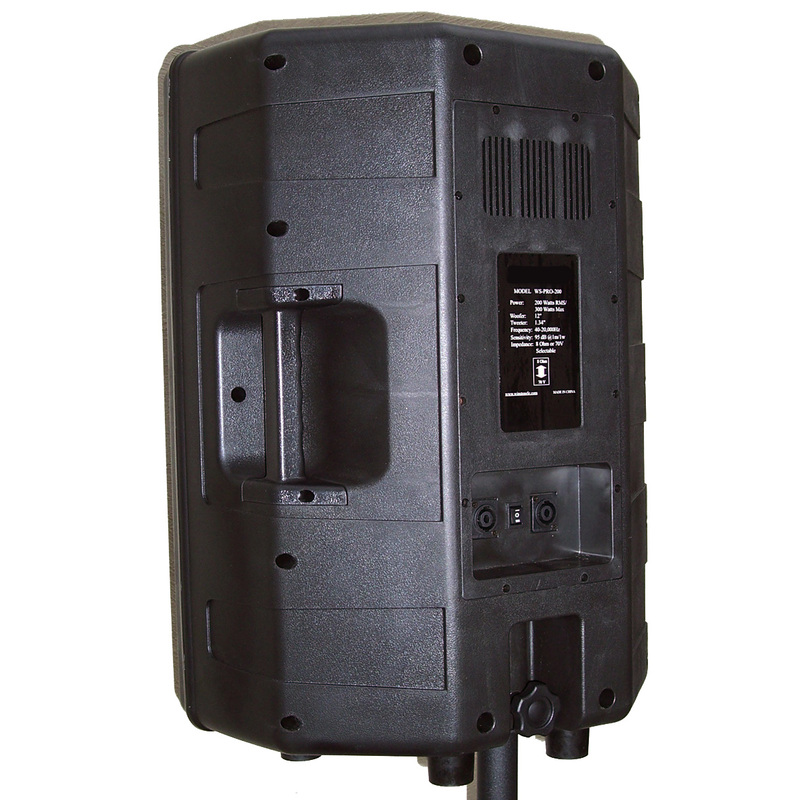 Weatherproof sound projection for year round performance. 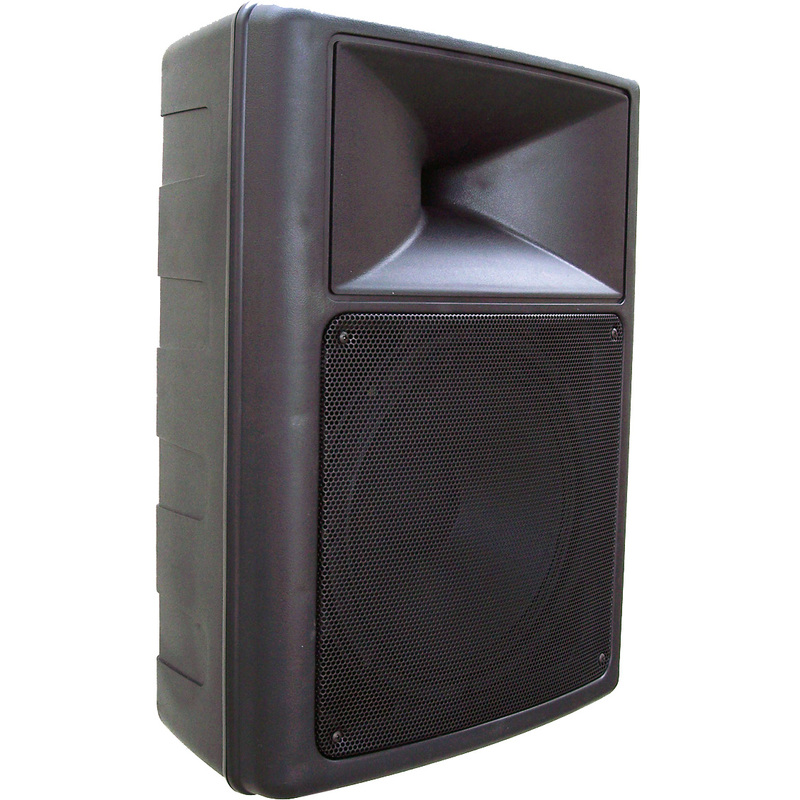 This speaker produces the volume needed for large crowds but issues good bass along with mids and highs. 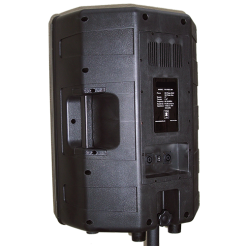 sports facilities, churches cinemas and also outdoor stadium ball fields, race tracks and more..
Power: 200 Watt RMS / 300 Watt max.